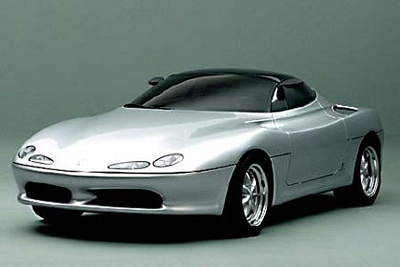 The Chronos was a concept car developed by Pininfarina for GM. The car was first revealed at the 1991 Geneva Motor Show as a static model. However shortly after the show a fully functional prototype was developed. 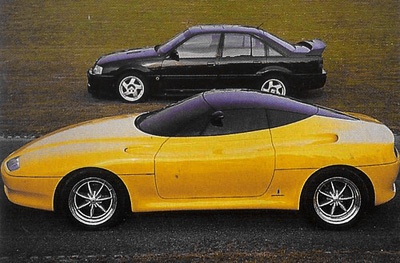 The Pininfarina designed Chronos was a sleek looking two-seat coupe powered by a 377 horsepower, 3.6 litre twin-turbo V6 borrowed from the Lotus Carlton. Thanks to this potent powerplant the Chronos could hit 190 mph! The unusual glass roof of the GM Chronos concept was impregnated with liquid crystals. When an electrical current was applied to the glass it darkened instantly, helping keep the sunlight (and prying eyes) out. Pininfarina was keen to get GM to put the Chronos into production. However ultimately GM decided to leave the Chronos as just a concept. Perhaps they felt it was too similar to the Corvette to be of benefit to the company as a whole.